Pictured above, left to right, are: front row, from left, Will Casto of Russell and Danielle Gibson. Back row, from left, Dr. Carol Christian, director of the Craft Academy; Dr. Michael E. Fultz, associate professor of biology and Jennifer Carter, Craft Academy assistant director of academic services. 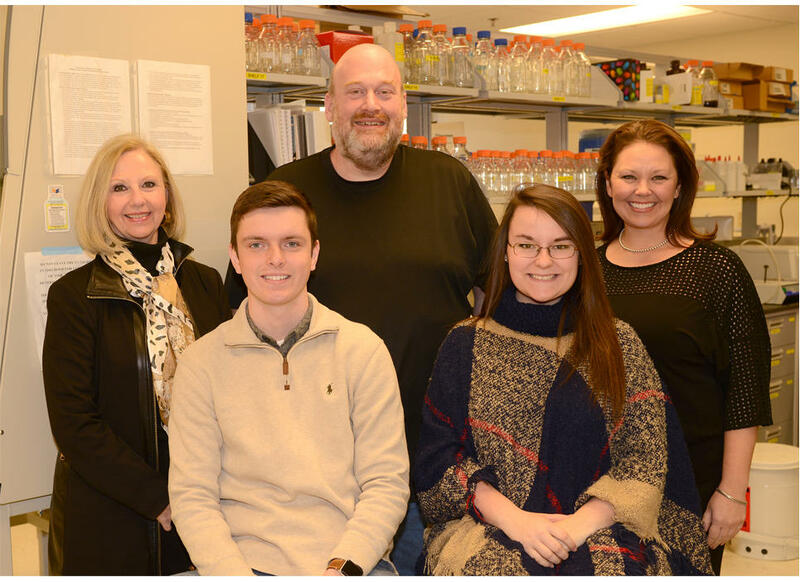 Morehead State University’s Craft Academy for Excellence in Science and Mathematics, a residential high school, is partnering with MSU’s Department Biology and Chemistry and SpaceTango to launch a cell culturing biology experiment to space. The experiment, to be conducted aboard the International Space Station, is scheduled to launch this Saturday, Feb. 18, at 10:01 a.m. as part of the SpaceX CRS-10 crew resupply mission. This also will be the first to launch from the newly renovated, historic Launch Complex 39A at NASA's Kennedy Space Center in Florida.